Boerne Rain Gutter Pros offer the best rain gutter services in Boerne for all your rain gutter needs. We've installed and repaired rain gutters for 11 years and have seen just about every type of rain gutter challenge that you might have. Give us a call at 830-400-5060 for a no-obligation estimate for your rain gutters. We'll schedule a convenient time to stop by and provide an estimate for your rain gutters. The amount of work needed on your gutters can vary greatly based on their current state, the type of structure they're on and the weather and environment conditions around your home. Sometimes, we find nothing wrong with a client's current gutter installation, and all we need to do is instruct them on proper maintenance and checkups. More often, however, we find various faults that need to be addressed by a professional: holes, damaged protective layers, poorly-connected seams and so forth. 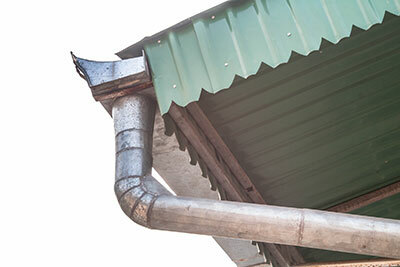 In some cases, we'll be able to work with your current gutters, while in others, we'll need to replace them altogether. Here are some of the services we frequently provide. 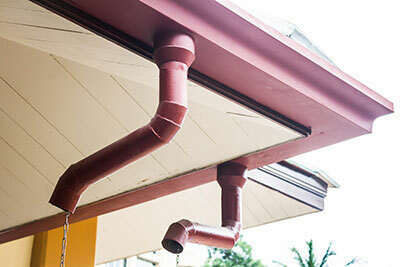 If a structure you own lacks a rain gutter system, it's high time you had one installed. Rain gutters aren't there just to look pretty – most traditional structures, especially homes, are built to channel all rainwater downwards to protect the surface of the roof. Without gutters, this water can flood the surrounding area of your home or even its indoors. Objects like vehicles or furniture outside the home can get badly damaged, and entire electric systems can become compromised, potentially leading to a severe power outage. You shouldn't attempt to install rain gutters on your own – it's a difficult process that is best handled by someone who knows what they're doing. When you first call us regarding a structure without gutters, we'll assess its shape, size and location first before asking about the weather conditions in the area. These steps will help us determine the best type of rain gutters to install, as they come in many different shapes and can be made from various materials. We will work with you until we find a solution that best fits your means and desires. After we're done with our job, you can welcome every autumn and winter – and the odd spring rain – knowing that your home or any other structure you own is safe from flooding. 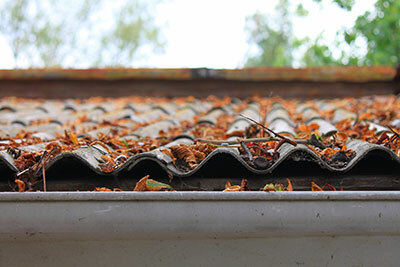 Gutters can even get damaged by something as simple as resting a ladder on top of them, even in the case of commonly-used materials like aluminum. You can't prevent your gutters from getting damaged, but you can do the next best thing – have us bring them back to tip-top condition. If you're considering full gutter replacement due to damage, call us first, even if another company told you that it's necessary – we're not miracle workers, but we'll do everything we can to let you keep your gutters. In order for rain gutters to function properly, they must be clean ahead of any serious rainfall. We recommend that our clients have their gutters cleaned a minimum of twice yearly – in areas with difficult weather conditions, more frequent cleaning will be necessary. Cleaning the gutters yourself isn't just a difficult task, but also a potentially costly one – in their struggles to fully clean their gutters, home owners will sometimes damage parts of them or even compromise the entire structure. 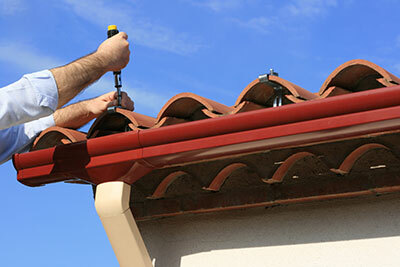 Boerne Rain Gutter Pros specialize in cleaning every type of gutter, from K-style to half-round and aluminum to copper. We'll pay attention to the gutters' material and make sure not to damage them or their protective material while cleaning. Leaves and various debris are hard to clean from gutters even on their own – when coupled with moisture from rain, they can be nearly impossible to remove if you're not an expert. A single heavy rainfall on a home with clogged gutters can cause serious flooding and incur massive financial losses. 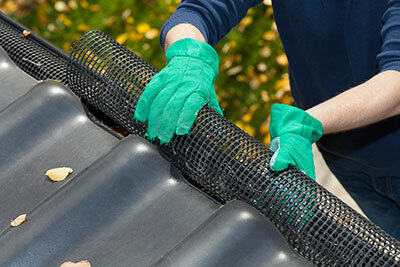 Let us clean your gutters until they look and work as if they were brand new. Afterwards, you'll almost look forward to the next bout of heavy rain. When repairing a gutter system isn't feasible for whichever reasons, we will opt to replace the gutters with entirely new ones. While we try to avoid subjecting our clients to additional expenses, the structure of gutters can become so compromised that no amount of patching will help them do their job again. Before replacing gutters on anyone's home, office or any other structure, we'll first go over the various styles and materials in depth to find one that fits our client perfectly. Aside from functionality, durability and longevity, we can also consider the appearance of the structure we're working on – we understand that some clients wish to retain a certain look on their homes, and we respect it. Any gutter system installed by Boerne Rain Gutter Pros is built to last – you won't have to worry about additional repairs as soon as the first set of rains hits your home. If possible, we can also perform a partial replacement of your rain gutters. This is certainly preferable over a complete re-do, although materials don't always allow it – many of our clients' gutters are made from poor-quality materials, making partial replacement impossible or ill-advised. 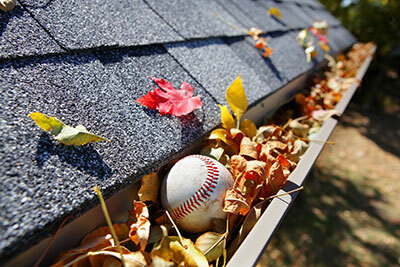 Gutters clogged by leaves is an issue that frequently troubles home owners. A tree next to your home will improve the appearance of your yard and give you a nicer view from inside the home, but it will also make your gutters very susceptible to fallen leaves, especially during autumn. To help our clients fight this, we install leaf screens on any type of structure whose gutters get clogged often. Aside from ensuring that the gutters work correctly, leaf screens will also greatly reduce the amount of maintenance necessary. Cleaning gutters is a chore, and the clogging is sometimes so severe that our clients are unable to deal with it on their own. Similar to how leaf screens work, gutter guards prevent various debris from entering the gutter and rendering it less effective. They are most often installed in places with a lot of wind that can fill up even half-rounds with all sorts of clutter. While they're great for minimizing clogging, leaf screens and gutter guards can sometimes be counter-productive in places with a lot of rain or even hail. We'll help you decide whether installing screens or guards in your area is advisable, and will only install those that suit the environment around your home. There are few ways to improve the appearance of your home that are as cheap and effective as rain chains. Used in the place of downspouts or even alongside them, rain chains help direct rainwater to wherever you'd like most, although a rain chain provides much less control than a downspout. With rain chains, your home will look stylish and elegant even when it seems impossible to due to bad weather. Because there are so many types of rain chains available, you should consult us before choosing to replace your downspouts with them – we'll tell you whether it would be a good idea, help you pick the right chain to use and perform the installation instead of you. Some home owners also like to add utility to their rain chains, like using them to water the plants around their home. Keep in mind that this isn't always advisable, as rain can be acidic and therefore hazardous to plants. In areas with particularly heavy rain or wind, we advise against rain chains as their effectiveness pales in comparison to that of downspouts. To know whether you should use rain chains instead of downspouts, a conversation with you regarding the weather conditions in your area followed by a visit to examine your roof and the surfaces below will be necessary. If you always wanted to harvest rainwater but didn't know how, you've come to the right place. The majority of rain that falls on a person's home or yard ends up being wasted, most often directed into the sewer or down the street. There are multiple ways to utilize rainwater, from domestic uses to gardening. Before you decide to harvest rainwater, however, you should have an idea of the water's purity – grab us a sample the next time it rains, and we'll tell you how clean the water is and whether a harvesting system should even be installed. In cases of sufficiently clean water, we can help you install a variety of different systems that will store rainwater or spread it in accordance with your wishes. You might be amazed by how many gallons of water go to waste around your home each time it rains – it's rarely a bad idea to put some of it to use. © COPYRIGHT Boerne Rain Gutter Pros.